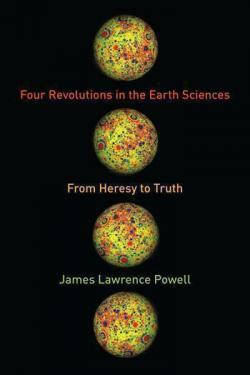 Steven Dutch concludes his review of James L. Powell’s Four Revolutions in the Earth Sciences (2015), which began with part 1 and continued in part 2 and part 3. I only found one significant technical error in the book. Powell erroneously states that isostasy causes the plumb lines of surveying instruments to point away from the Himalayas (page 68). In reality, the British survey had anticipated a deflection toward the mountains, but when it turned out to be larger than expected, they turned to George Airy, the Astronomer Royal, for an explanation. Airy found that the deflection should have been far larger than even the large value observed, and hypothesized that a mass deficit at depth was offsetting some of the attraction of the mass excess above the surface. The plumb lines deflected toward the mountains, not away. Powell also cites a slightly wrong value for the height of Mount Whitney (page 246), perhaps quoted from one of the historical sources he used. In defense of the Establishment, theories that “explain all the facts” are cheaper than dirt in science, and very often the easiest, laziest way to explain facts is to concoct some grand sweeping “theory of everything.” The “simplest” explanation of the Apollo moon landings is that they were simulated on a sound stage. The “simplest” explanation for 9/11 is that the Twin Towers were brought down by a controlled demolition or an exotic energy weapon. The revolutions in this book, in their initial and still somewhat speculative and weakly supported forms, would have had much the same quality about them. Physics won’t allow a really ancient Earth? Invent new physics (as creationists actually do to try to explain away radiometric dating). True, new physics did evolve, but based on real evidence, not wishful thinking. Similarities between continents? Move them around, instead of doing decades of fieldwork looking for alternative explanations. Mysterious crater? Something fell from the sky. Meanwhile, crank theories just as sweeping were rampant. Ignatius Donnelly, Hans Hörbinger and the Welteislehre, and Isaac Asimov’s “grand old man of the fringe” Immanuel Velikovsky all clamored for attention alongside meteor impact and continental drift. It’s hard to blame many scientists for putting them all on the same plane. Overall, I was delighted by the excellent quality of this book. As a reviewer I had to find a few glitches to prove I was awake, but they are very minor. The research is thorough and relies on quality sources. This book would be an excellent text for a history of science course, and an excellent resource for anyone teaching such a course. Steven Dutch is Professor Emeritus in the Department of Natural and Applied Sciences (Geoscience), University of Wisconsin–Green Bay, and the coauthor, with Joseph M. Moran and James S. Monroe, of the textbook Earth Science (Belmont [CA]: West/Wadsworth Publishing Company, 1998). He is signatory #424 to Project Steve.